Chinmayi Says That She Will Slap Vairamuthu If She Meet Him Next Time !! Check Out !! 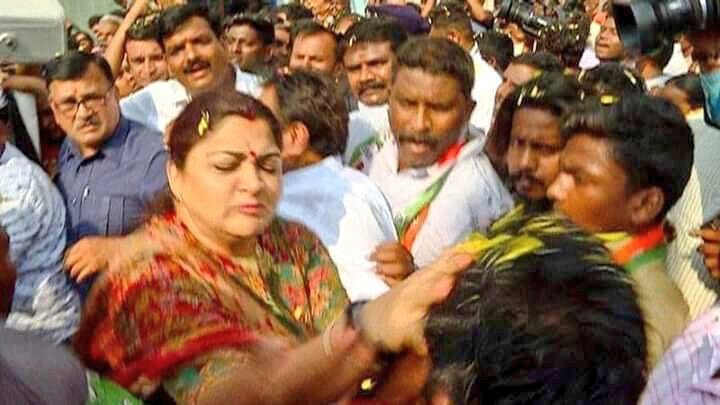 Congress leader Kushboo Sundar slapped a youth who allegedly misbehaved with her during a campaign on Wednesday in Bengaluru. The incident happened when Kushboo was campaigning for the Bangalore Central Congress candidate Rizwan Arshad in the city. While Kushboo was making her way through a crowd towards the campaign vehicle, she suddenly turned around and slapped a man, who was immediately whisked away by the police. The video featuring Khushbu Sundar slapping the person goes viral in social media. Meanwhile actress Kushboo in her twitter account retweeting the posts of those who supported her act and question back those who questions her act. Sure. I ll remember to slap Mr Vairamuthu if at all I see him next. Looks like that’s the only justice I’ll get. I have the age and the guts now. Apart from singing her dubbing works and singing works, Chinmayi is highly recognised by the Tamil audience for her existence in social media. Her last film as a voice artist was “96” in which she lend her voice for actress Trisha. 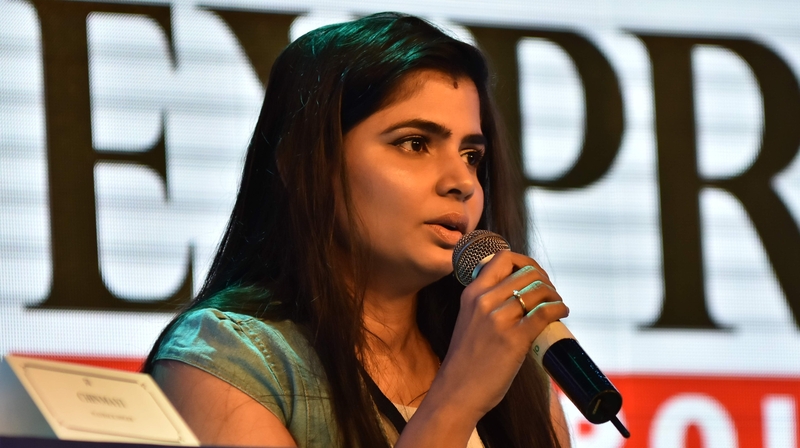 Being a representative of South India for Me Too movement, Chinmayi is one of the very active celebrity who interacts with her followers often. What do you think on these women’s statements ?? Comment your views below !! Previous articleThese Celebrities Impressed With Dhoni Storming Into The Field !! You Just Can’t Miss These !! Next articleSanjay Manjrekar Criticized Dhoni For Breaching Boundary Line !! Fans Of CSK Trolled Him Like Never Before ! !